Long Grove, IL – June 2009 - WarmlyYours, an industry leading manufacturer and distributor of radiant heating products, including electric floor heating, towel warmers and HeatTrak™ portable snow melting mats, recently expanded its portfolio. We now offer a full line of snow melting products and controls for installation in drive ways, patios, roofs, gutters, and indoor and outdoor concrete slabs! Now, there are so many more options available for your home or business. Whether you are considering snow melting to heat a driveway or parking lot or you want to transform your sunroom into a 4-season room with our concrete slab heating, WarmlyYours can design a system for your project. With our snow melting cable and mat products, WarmlyYours can custom design a system for your asphalt, concrete or paver project. We specialize in heated driveways, patios, walkways, and stairways as well as indoor and outdoor concrete slabs. Our new line of products also includes roof and gutter deicing systems to prevent dangerous ice and snow accumulation. We have the perfect solution for every snow melting challenge. You’ll always be prepared for a snowy day with WarmlyYours durable, high quality indoor and outdoor heating products. Our constant wattage cables are available in 120 VAC and 240 VAC and are configured in both free form cable and easy to install mat applications. A typical snow melting system will provide between 45-50 watts per square foot depending on cable spacing and slab heating generally falls between 15-35 watts per square foot. The wattage per square foot will depend on the application. On demand, energy efficient control systems are also available for all snow melting or slab heating system designs. 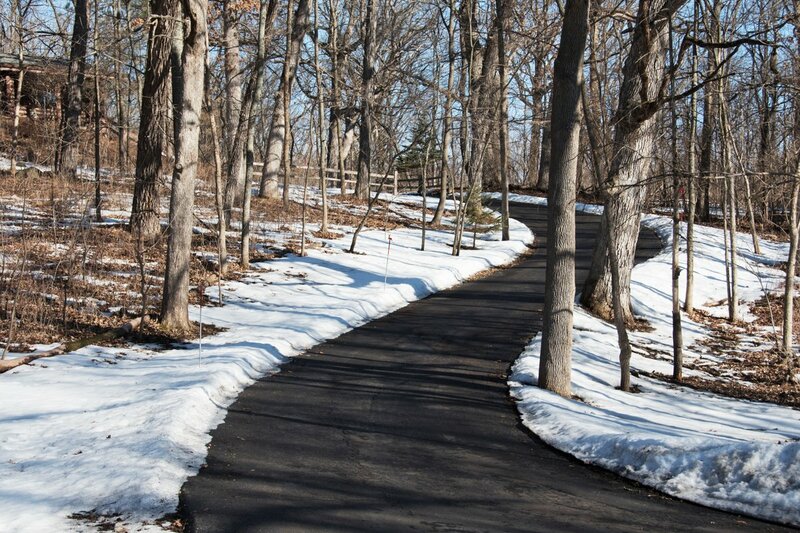 WarmlyYours can engineer a driveway snow melting system for your budget by designing for tire track coverage and specifying economy controls. WarmlyYours will work with you to customize a snow melting or slab heating system that will fit the needs of your home or business. Simply send us your project details and let our experts design a custom installation plan complete with product and control recommendations developed especially for your project and budget. For additional information on WarmlyYours snow melting and slab heating systems, check out our website at www.WarmlyYours.com, view our blog posts that are related to snow melting, or contact us at (800) 875-5285 to learn more about our products and services. Previous Post Is it the End of the Recession?